For a majority of companies, from small and medium-sized businesses to large enterprises, migrating data center workloads to the cloud is rapidly becoming a key priority. However, organizations are struggling to perform server workload migrations and cloud on-boarding in a comprehensive, seamless and timely manner. They face obstacles in terms of the complexity of manual migration processes, how to migrate one workload type to another platform and the necessity to avoid cloud sprawl, to name a few. In addition, most customers' data center infrastructures are a complex amalgamation of systems with competing resource efficiencies. Often, these environments consist of physical servers with different operating systems, distinct virtualization and private cloud platforms, and myriad network and storage complexities. 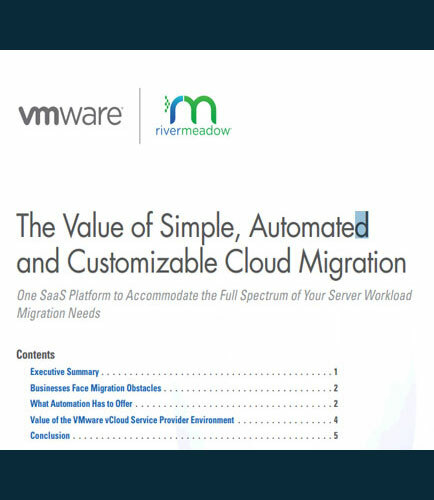 Moreover, manual server workload migration and cloud on-boarding is inherently difficult without the proper tools to help facilitate deployment.